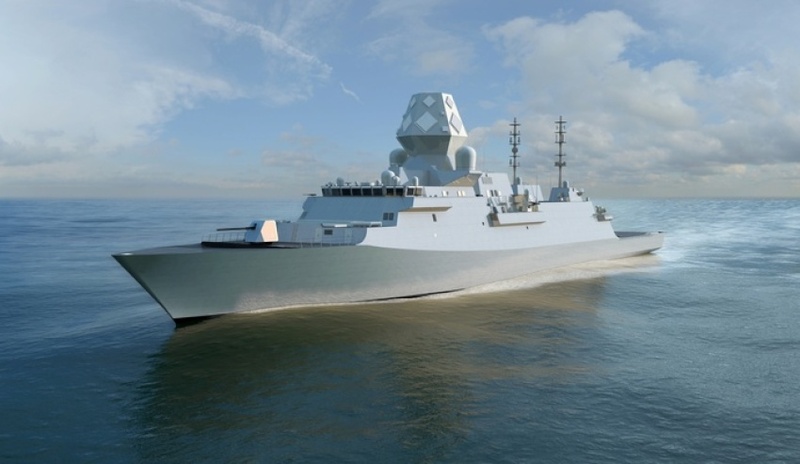 BAE Systems has become the first SEA 5000 Future Frigates contender to publicly announce it has submitted its bid for the $35 billion project, which will see the build of nine anti-submarine warfare frigates for the Royal Australian Navy. The UK multinational said the bid not only included construction of the nine frigates, but also commitment to develop a long-term shipbuilding strategy in Australia for complex warships. BAE Systems has offered the Global Combat Ship-Australia, a variant of its Type 26 Global Combat Ship for the UK Navy, a project that recently commenced manufacturing. To ensure the learning and knowledge from the Type 26 program is fully complemented by the maritime skills and expertise of BAE Systems’ team in Australia, the bid was put together by a joint UK and Australia team and the campaign is being led by BAE Systems’ global maritime business development director Nigel Stewart. "BAE Systems is proud to have submitted its response to the Australian government for the SEA 5000 program," said Stewart. "By combining the formidable capability of our Type 26 anti-submarine warfare frigate with the heritage and skills we have in Australia, we are sure we can offer a proposition to the government that is both transformational and compelling. "Our commitment is to establish a world-class ship building capability in Australia that will build Australian ships with an Australian work force. The opportunity we will bring to Australia through SEA 5000 is unique. It offers us the chance to collaborate across the company by sharing our expertise and experience, transferring embedded knowledge from one market to benefit another. In addition, BAE Systems is committed to representing Australia in the global marketplace, helping grow Australia’s export opportunities and opening up new markets for Australian industry through our global supply chain." BAE Systems Australia chief executive Glynn Phillips said selection of the BAE bid for the project would help enhance the company's partnership with Australia's government and industry. "BAE Systems has over 3,500 people already working in Australia, a fully mature supply chain of more than 1,600 Australian SMEs and we have a proud history of over 60 years working in partnership with the Australian government as a trusted supplier," said Phillips. "Deepening that partnership through selection on SEA 5000 would be a privilege that we are ready and excited to deliver." Italian firm Fincantieri and Spanish company Navantia are also tendering for the $35 billion project. Fincantieri has put forward its FREMM Frigate, while Navantia has offered a redesigned F100. The nine frigates will be constructed in Adelaide and construction is due to commence in 2020.